Unilateral sacroiliitis (US) is an uncommon disease with varied etiology. The differentiation between infective and inflammatory causes for US based on MRI alone is often difficult. We studied the efficacy of MRI findings in comparison with tissue studies in the diagnosis of US. A retrospective analysis of patients who presented with US and evaluated with MRI, biopsy for histopathology and tissue cultures was performed. 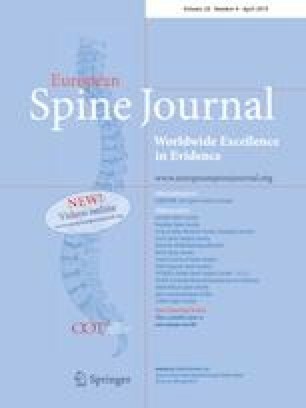 Patients with bilateral sacroiliitis, traumatic and postpartum sacroiliitis were excluded. Based on defined MRI criteria, the patients were divided into two groups—infective (group A) and inflammation (group B). In total, 33 patients (mean age—33.4 ± 17.2 years) with MRI features of US had presented with unilateral gluteal pain (100%) and positive Patrick’s test (91.9%). Based on the MRI features of severe subchondral marrow edema, widening of joint space, intra-articular abscess and periarticular muscle abscess, infective sacroiliitis (A) was diagnosed in 20/33 (60.6% cases). A total of 13/33 (39.3%) patients had features of inflammation (B), based on the following MRI criteria—subchondral sclerosis with minimal edema, erosions, maintained joint space without abscess/destruction. Tissue evidence of infection was positive in 13/20 (65%) patients in group A while it was negative in all group B patients. MRI had high sensitivity (71%) and 100% specificity in diagnosing inflammatory sacroiliitis while it had low specificity, but 100% sensitivity for diagnosing infective sacroiliitis. Hence, patients diagnosed as inflammatory sacroiliitis in MRI are unlikely to benefit from further tissue studies while percutaneous biopsy is recommended in patients diagnosed in MRI as infective sacroiliitis. The study was funded by the Ganga Orthopaedic Research and Education Foundation (GOREF).